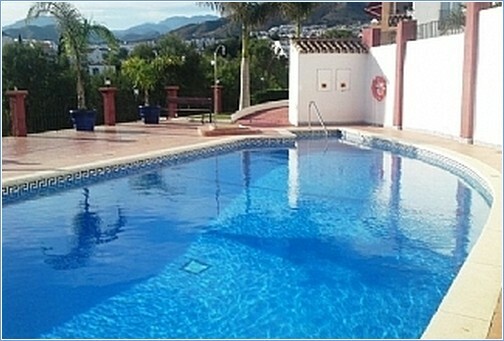 Two bedroom penthouse apartment situated on the ever popular "San Juan de Capistrano urbanisation", five minutes drive from Burriana Beach and from the centre of Nerja with its many restaurants, bars and excellent shops. This second floor split level apartment has a large open plan lounge / dining area and fully fitted kitchen on one level, with one double / one twin en-suite bedroom and shower-room on the lower level (6 steps down). It has a combination air conditioning / central heating system. 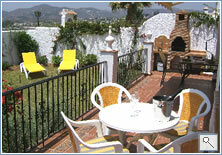 Large sun terrace, with views over the mountains and sea, with table, chairs, sun beds and sun blind. 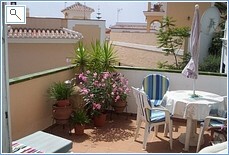 Elegant and newly re-furbished townhouse, situated in the heart of a traditional charming Spanish town. 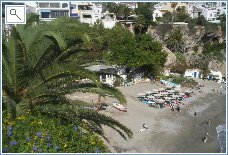 A short stroll away from Nerja's finest restaurants and fashionable boutiques and a few steps away from the Balcony of Europe where you can look out onto the impressive views of the coast line of Nerja. 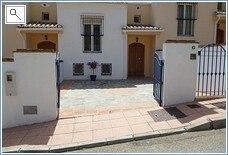 The houses are located in a quiet, private estate, with a communal swimming pool. 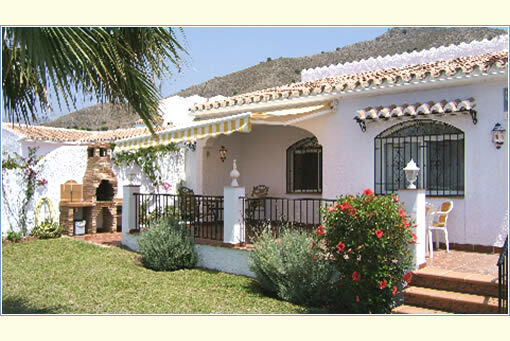 The dwellings in Pueblo Andaluz are built in a traditional style with a profusion of magnificent flowers, shrubs and palm trees. 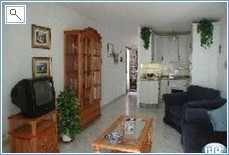 The nearest beach (Burriana) is about 5-7 minutes walk and the town centre is about 10 minutes away on foot. 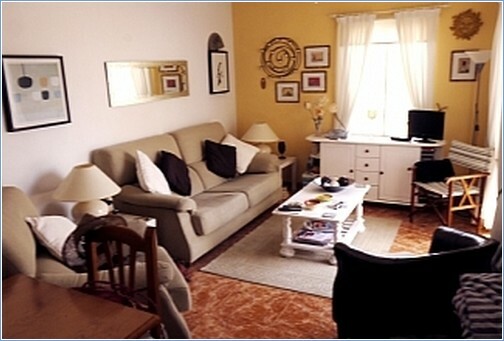 The houses have a lounge/dining room, kitchen, 2 bedrooms, Bathroom and downstairs toilet. Two of the properties have downstairs shower rooms. One bedroom contains a double bed, the other two singles - both having a small balcony. Each house has a small patio, with table and chairs, sheltered by shrubs and trees. The properties have a wall safe in the main bedroom and ceiling fans in the bedrooms. There are 3 properties available from which to choose. There are sunbeds and patio furniture provided. 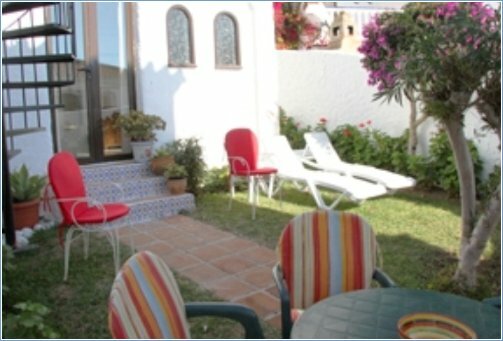 Perfect for both couples and families, Residencial Aljamar is a lovely, peaceful complex close to Nerja's best beach - Burriana. 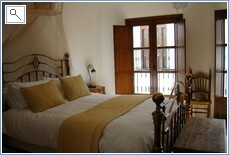 It is a 15 min walk into the old Andalusian town, with its cosmopolitan blend of restaurants, shops and bars. Furnished to a high standard, the apartment has 2 good sized double bedrooms, bathroom, sitting room with separate dining area and fully equipped kitchen. Wi-fi is also available. 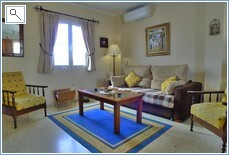 5* feedback from all guests, with many returning to holiday again in this beautiful apartment. 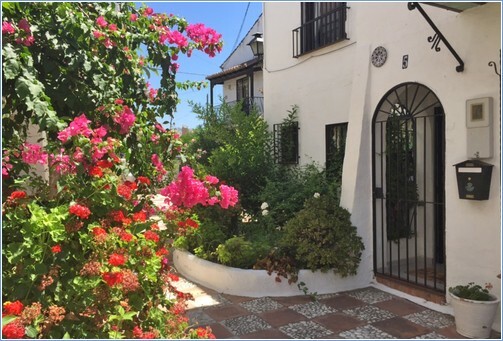 Casa Mariposa is an attractive two storey townhouse with its own beautiful private garden, situated in El Capistrano village in Nerja - regarded by many as the most beautiful urbanisation on the Costa del Sol. 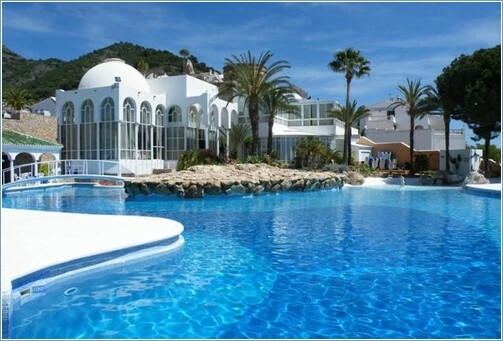 This mature, purpose-built development nestles at the foothills of the Alimijara Mountains beside the Mediterranean. 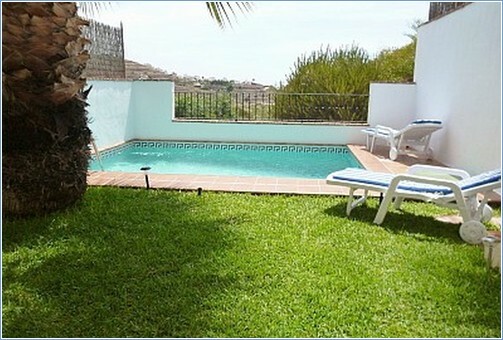 the pleasant grounds are made for strolling and with two pools nearby there is every opportunity for a cooling dip. 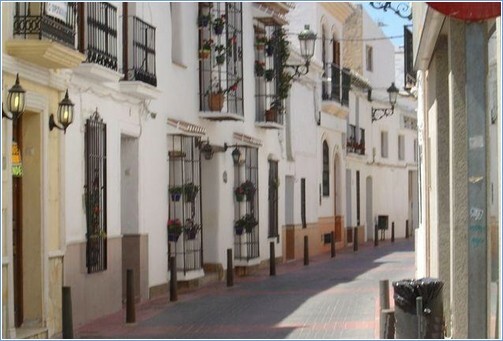 Grenada and Cordoba both world heritage sites are within easy ,less than two hours ,driving of Nerja making a special day trip for those wanting to see more of Spain than the sun and sand. 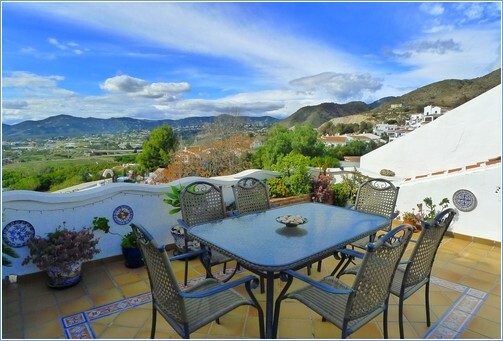 This comfortable family detached Villa Sol Jardin is situated within the acclaimed San Juan de Capistrano urbanisation in Nerja, an oasis of beautifully maintained properties and gardens. 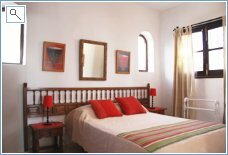 Well equipped and modern, it features 4 well-sized air-conditioned bedrooms to sleep 8 people, wifi internet access and a large south facing garden and terrace. 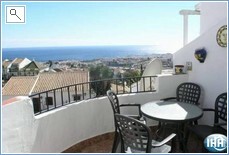 It is quiet and commands excellent mountain and partial sea views. 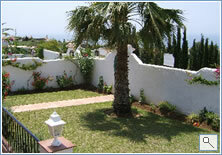 Topicana is a peaceful and select area of Nerja, 2 km from the town. 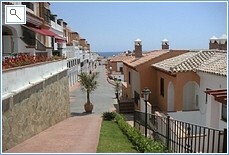 The urbanisation is opposite the beach with fantastic mountain views. 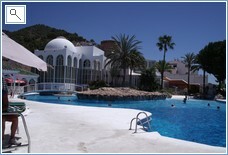 There is a popular bar with entertainment most nights ,plus a communial swimming pool. 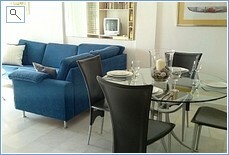 The urbanisation is child friendly with a childs pool / tv lounge and pool table. 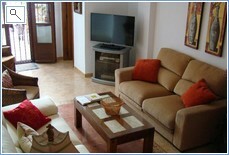 Trips to Gibralter ,Granada etc can be booked on site. The apartment has 21 cable t.v, including all the uk channels. Dvd player plus all the comforts of home. Laundry change weekly , for your comfort . 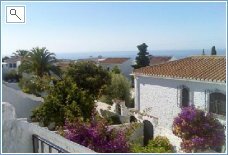 This relatively new property is one of a group of 10 houses located at the top of Tamango Hill, situated only 3 minutes drive from Nerja. With private parking, it offers 3 bedrooms and 2 bathrooms on upper level and a large lounge with shower room, WC Fully fitted modern kitchen with all necessary additional equipment. Stairs from the terrace lead down to the garden and pool area. Stairs also lead down to the garden apartment with twin bedroom and shower room with private terrace leading direct to the pool.